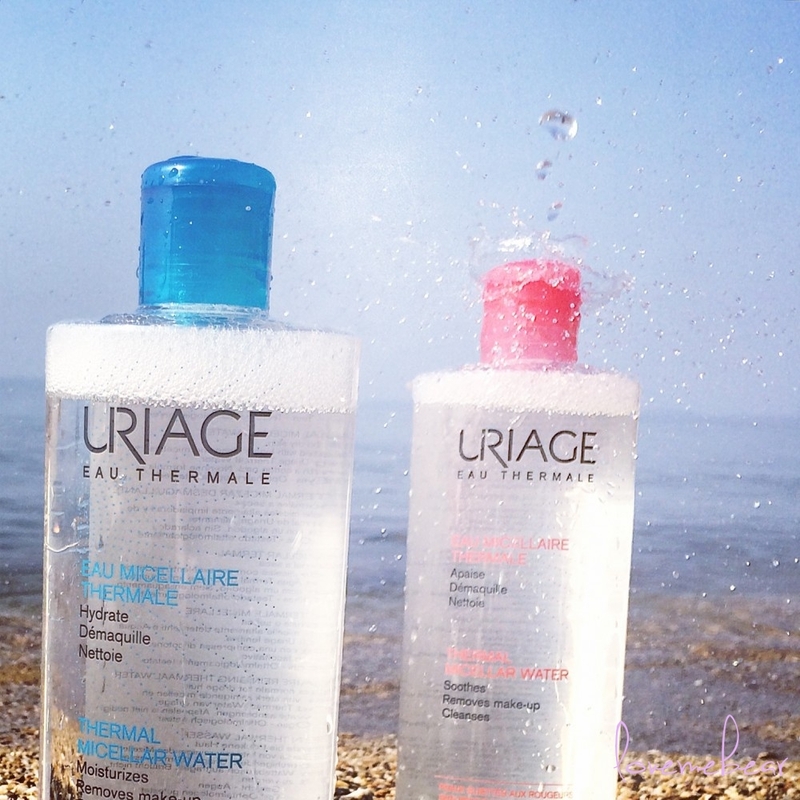 never use tap water but only nebulized thermal water and thermal micellar water to remove makeup. 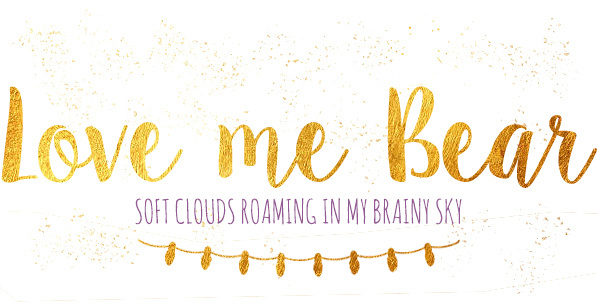 They both work the same way: get wet cotton swab and pass it on the skin and repeat until the skin feels clean. At first I was surprised by the fact that a bottle of clear liquid that is basically water, could replace lotions, creams, gels and cleansing milk but having a dry skin and a situation that was not improving using traditional methods i gave up to my curiosity and dipped in this new french way. I tried both methods, and the one I prefer is the system with micellar water but I could not remove the tap water from the process completely, it is always nice to give a good rinse to the face sometimes right? 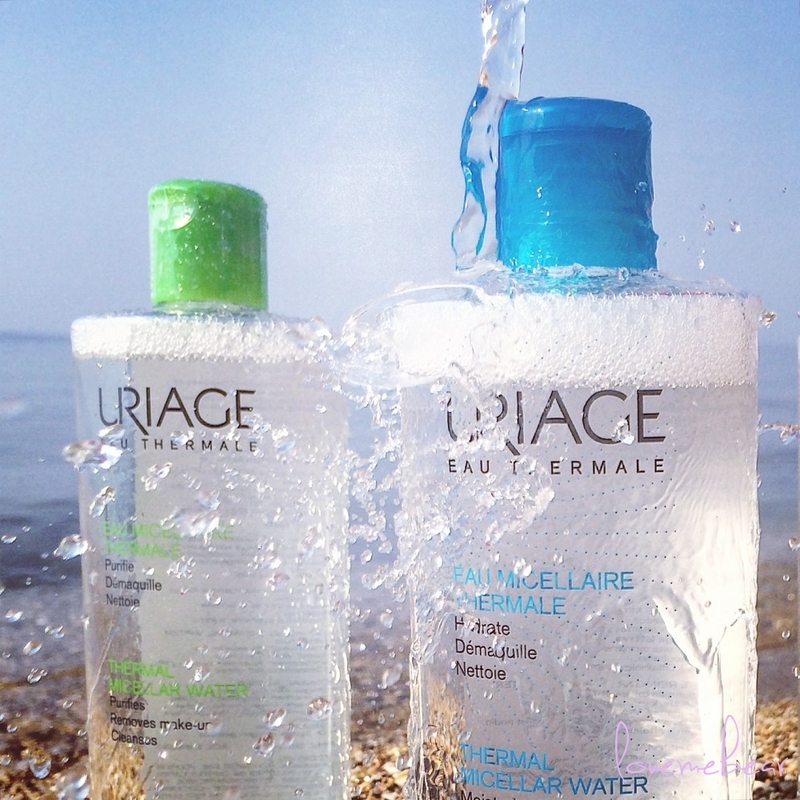 Want to know what is micellar water or a solution? or why it is better than tap water for cleaning your face? The tap water is hard (it contains high levels of calcium, magnesium and other minerals dissolved), contains chlorine used for disinfection and can further dehydrate and irritate the already sensitive and dry skin, also the situation does not improve if you add aggressive detergent. 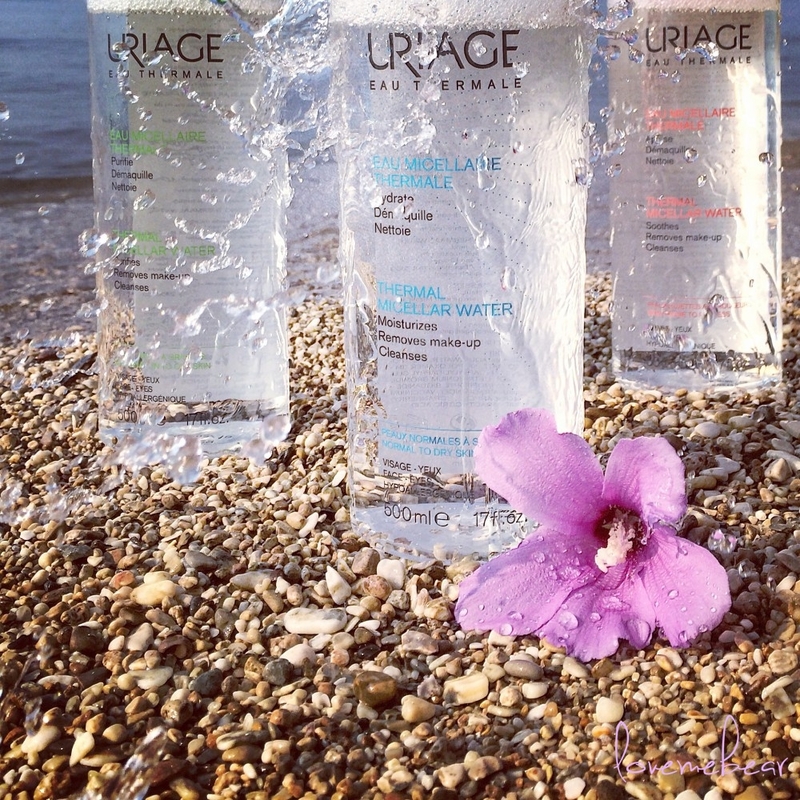 The micellar water is a liquid that contains molecules of micelles, very delicate that removes makeup and impurities from the skin without drying it, does not change the pH value, but nourishes, refreshes and tones and it is not necessary to rinse. 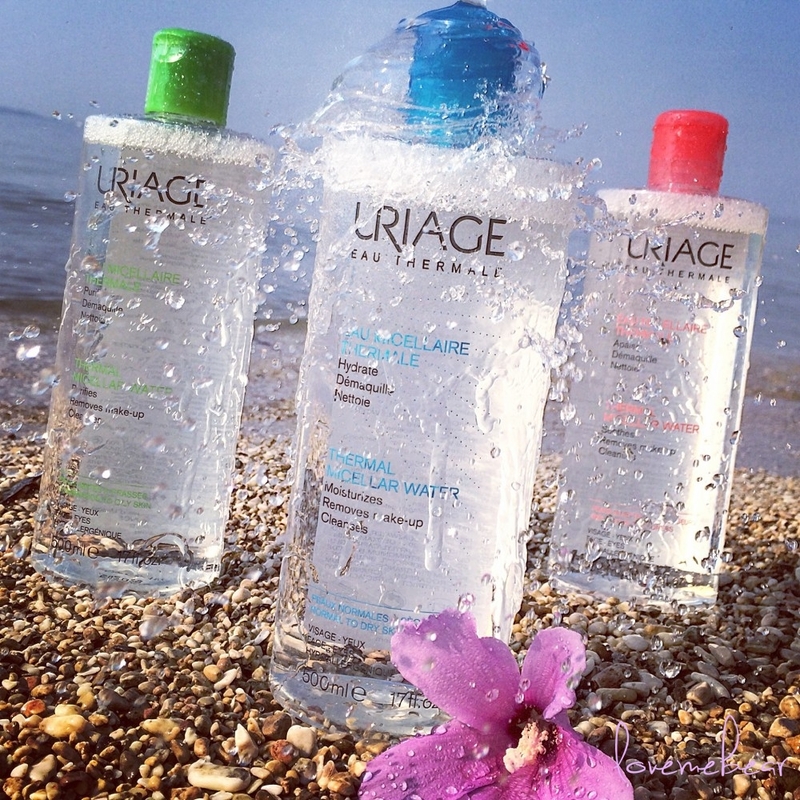 The Uriage’s workshops offer thermal micellar water suited to the specific needs of our skin. For normal to dry skin with cranberry extract – moisturizes. For skin prone to redness with apricot extract – it soothes. For oily skin with green apple – cleanses and normalizes the sebum. 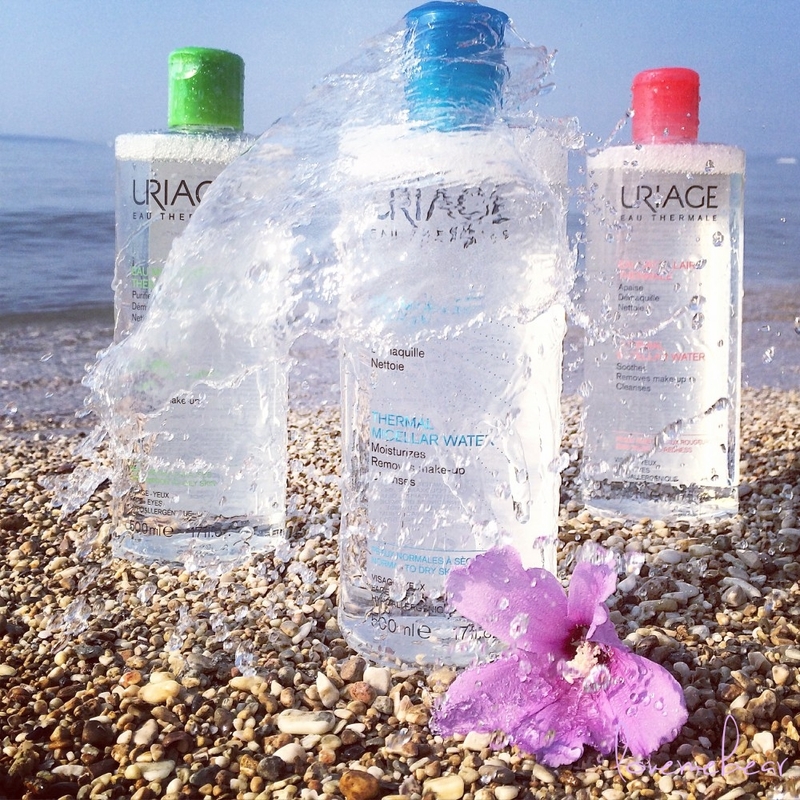 They all contain thermal water Uriage, who was born in the ecologically clean Alpine France. It is rich in minerals and trace elements, moisturizes, soothes, neutralizes free radicals, promotes skin renewal. I used the version for normal to dry skin (bottle with blue cap and label). The bottle is plastic, transparent and thick. The design is simple and clear, colors call for purity and freshness. I used the 500 ml bottle, and although it is good in terms of the savings I find that when used it wastes a little bit of it letting out more than necessary 8at least for my needs). In addition to using it for the demaquillage can be adapted to the normal cleaning of the face in this way reducing the number of products for everyday use. Its texture is close to that of water as its transparency also has a smell very light that quickly disappears. Perfect for normal makeup i do not know what would happen with the mascara waterproof. After use, I do not feel the skin tight or clingy. I have very sensitive eyes and does not give me any problems, even when I have a burning sensation or discomfort because of mascara and eye creams i pass it quickly and then rinse with water and voila all the troubles disappear. It does not irritate even the most sensitive skin of all the zone around the eyes. What is your preferred method to remove makeup? 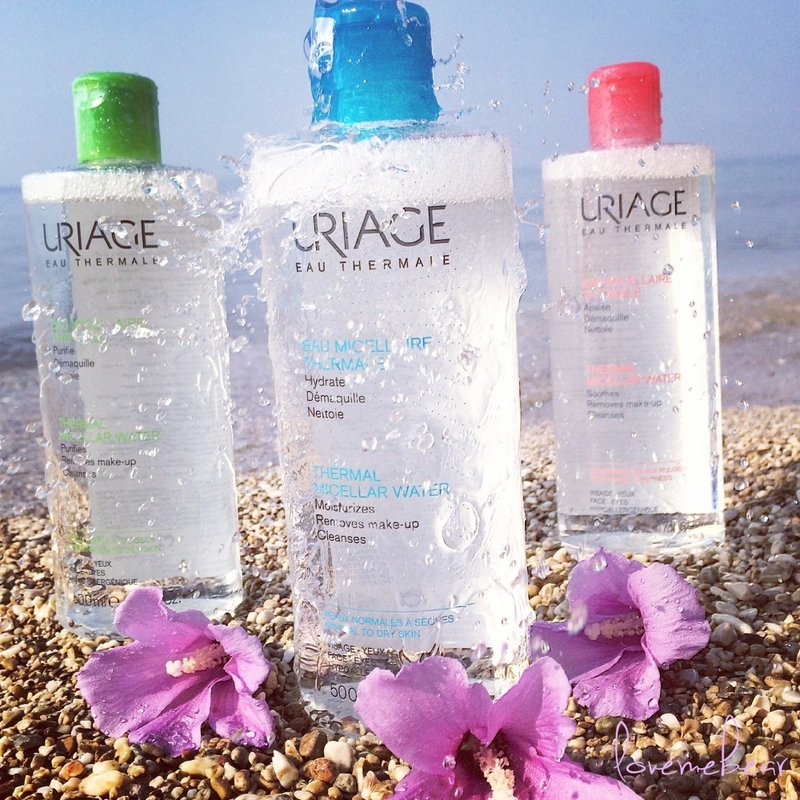 Have you tested the micellar thermal water? 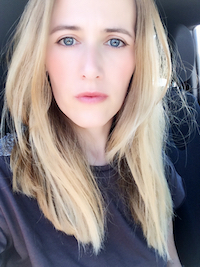 This entry was posted in cosmetics and tagged cosmetics, demakeup, demaquillage, fresh, hydration, remove cosmetics, remove makeup, remove mascara.